Public Sector Audit Appointments’ annual report, published today, reveals while auditors gave councils’ accounts a clean bill of health they issued three adverse opinions and 24 qualifications in relation to authorities’ value for money arrangements. According to PSSA guidance an adverse opinion means the financial statements were “misleading or incomplete”, while a qualified opinion is given by an auditor when they have been unable to find “sufficient evidence” to back up an authority’s financial reports or there was a “material disagreement” with some of the contents. The PSSA’s report provides a summary of the conclusions of audits of the accounts of councils and other local government bodies, such as police and fire authorities. 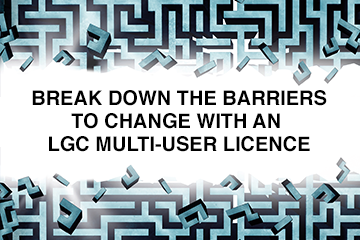 LGC research has identified the reasons behind the judgements. Northamptonshire CC was issued with an adverse report after auditors warned the value of savings deemed at risk of not being realised during 2016-17 significantly exceeded the council’s available reserves. Cabinet member for finance Robin Brown (Con) said action had been taken to introduce more “rigorous” financial controls. “This year we have been better able to identify early risks to savings targets and therefore take mitigating actions more swiftly,” he said. Three other upper-tier councils received qualified opinions in relation to their financial position after relying heavily on non-recurrent savings to balance the books in 2015-16. Auditors said under their current plans Essex CC and Dudley MBC would have deficits by 2018-19 that could not be met through reserves, while Birmingham City Council had yet to identify all of its savings for 2016-17. Redditch BC and Bromsgrove DC, which have a shared management team, along with West Somerset DC were also judged to have medium term financial strategies that did not have a realistic prospect of achieving balanced budgets later in the decade. Their reports said this was “evidence of weaknesses in proper arrangements for planning finances effectively”. As LGC has previously reported Northampton BC was issued with an adverse notice due to concerns over a £10m loan to Northampton Town FC. The third council to be issued with an adverse opinion was Lambeth LBC in relation to concerns about its children’s services and youth offending team as well as its governance processes. A spokesman for the council said: “Lambeth has a robust financial management plan designed to make the best use of our limited resources for the benefit of everyone in the borough. Of the 18 other councils where qualified opinions were issued, 11 were solely related to a lack of progress on addressing an inadequate Ofsted rating. At Lancashire CC auditors highlighted a lack of effective internal control systems as well as concerns about how the council was addressing the Ofsted rating. Sefton MBC, Exeter City Council and Great Yarmouth BC were all pulled up over weaknesses in their procurement systems while Lincolnshire CC received a qualified opinion due to issues with a new financial system after Serco took over its back office services during 2015-16. Middlesbrough Council and Rochford DC were issued with qualified opinions due to concerns about internal governance. The number of councils where value for money concerns were identified increased slightly from 22 in 2014-15. In addition to the councils mentioned above, the chief constable, and the fire and rescue authority in south Yorkshire, along with the Sheffield City Region Combined Authority were all issued with qualified concerns. The chief constable and the police and crime commissioner in Staffordshire were also issued with qualified opinions. Overall 6% of principal local government bodies had some form of qualification on their value for money arrangements, up from 4% in 2014-15. The PSSA is a Local Government Association owned company that was made responsible for appointing public sector auditors following the abolition of the Audit Commission. All but 10 councils have completed the audit process for 2011-16. Auditors have raised value for money issues at 30 councils in relation to 2016-17, the Public Sector Audit Appointments’ annual report reveals.